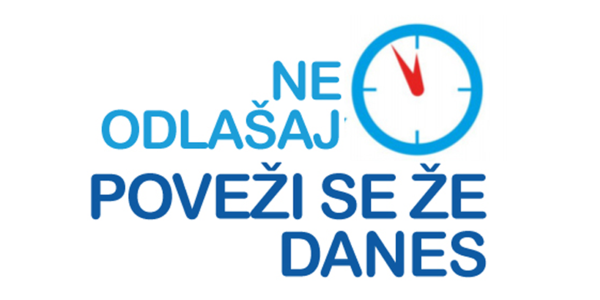 The Don’t Delay, Connect Today has been implemented in Slovenia with a series of activities organised by the Slovenian Association of Health Professionals in Rheumatology, in cooperation with the Slovenian Association of Rheumatic Patients. 21 April: Educational event at the main bookstore in the Ljubljana city center. 12 May Presentation of the campaign at the annual meeting of the Slovenian National Rheumatology Society. 29 May A campaign presentation in an educational event at the Development and Education Centre Novo mesto. The aim is to promote early recognition of inflammatory rheumatic diseases among physicians and health care professionals at the primary level - and also at a wider public level. The campaign is the starting point for informing, motivating and supporting people to make small and sustainable changes that improve their health, such as making healthy choices including stopping smoking, improving diet and nutrition, increasing physical activity, losing weight and reducing alcohol consumption. September: A meeting with the National Institute of Public Health. 1-3 October: PR stand with information leaflet as well and educational events at the annual Festival for the Third Life Period (senior citizens) in Ljubljana. 12 October: Events planned to mark the World Arthritis Day in all 8 main hospitals in Slovenia. A video featuring all the campaign activities will be shared soon.